Star Wars Battlefront Turbolaser is a very powerful weapon that was developed by mixing the attributes of a blaster weapon with a laser cannon. This heavy grade weapon can deliver damage to approaching vehicles along with any enemy infantry that may be attacking. 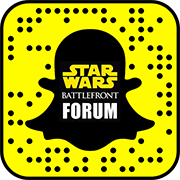 If you would like to discuss the weapons then visit our Battlefront weapons forum.